The wave of Smartphone of seniors has influenced the life of many, especially who entered their retirement phase. For seniors, after retirement everyone looks for having a great time. Some prefer to roam different parts of the world, some prefer attending indoor meditation camps and some are techs savvy; they learn computers and look for the latest gadgets and devices to get in touch with the modern world and become a part of it. Keeping this in mind, many Smartphone application developers have developed amazing applications for the seniors. 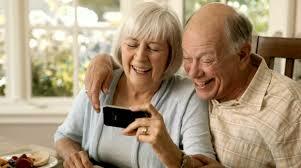 Let us take a look at the 7 best Smartphone apps for seniors. 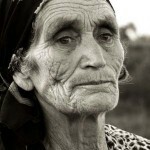 AARP is one of the best Smartphone apps designed especially for seniors. This application offers the latest information and news on staying healthy, saving money and other volunteer opportunities for the seniors. With a user-friendly format, one can easily explore lifestyle trends and the cost-cutting options. One of the most trusted applications for understanding different health condition and get information on healthy living is WebMD. By downloading this application, you can easily access numerous medical updates, breakthroughs and the conditions. Moreover, seniors get a chance to participate in group discussions with other people and medical experts. 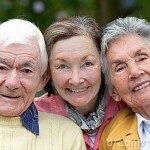 Facebook allows seniors to engage with their children, grandchildren and to interact with people of their age. 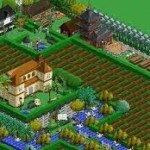 They can play different puzzles and can check out different applications in the Facebook that certainly make best of use of their time. This app is very helpful for seniors, helping with cognitive performance and memory. 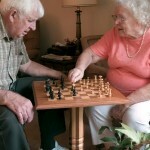 There are numerous games available in the application, allowing seniors to enhance the brain agility. These games are designed by the neuroscientists and help in improving the brain health, memory, speed, flexibility, attention and problem solving capabilities. Mint is one of the best Smartphone apps for seniors, allowing them to keep a track of their finances and save more. This easy to use application allow in managing the account balance and transactions in a right way direct from the Smartphone. This application uses the zoom of your Smartphone camera along with flash to make you read small texts easily. This application is very useful for seniors especially when there is no normal light to reading appropriately. This exceptional speech to text application allows you to read the email, status and SMS and also writes that in plain text according to your requirements. This application is certainly very useful for seniors in many ways. Undoubtedly, there are numerous applications designed for seniors that can help them in getting informed and entertained in numerous ways. However, when buying any phone for seniors make sure that it has all the features beneficial and useful for them. For this reason, buying Smartphone for seniors is a wise decision.